Whether you own a small job shop, run a busy tool room at a large factory, supply big automotive or aerospace companies, or a startup pursuing a dream, you need to make the best equipment decisions for your business. 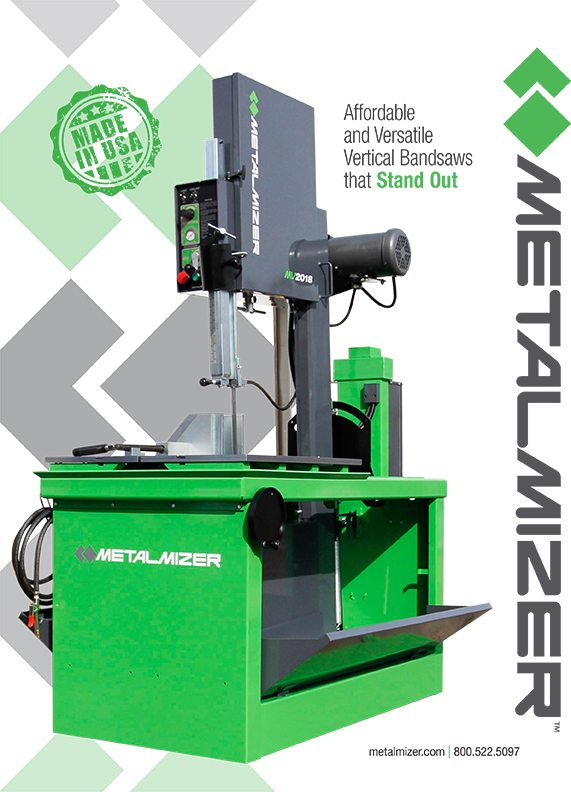 Made in the USA, MetalMizer metal cutting vertical bandsaws are trusted by top manufacturing companies without being overpriced, innovative without being over-engineered, and productive without an oversized footprint. Worldwide manufacturers including workplace furniture, heavy equipment, and leading car manufacturers have all cut their jobs down to size with the American-made MetalMizer metal cutting bandsaws. Productivity is king in manufacturing and MetalMizer bandsaws leverage that productivity all while withstanding the rigors of day-in, day-out industrial use. *All prices and savings in US dollars. Shipping or delivery not included. Pricing and specifications are subject to change without notice.